Perth’s three commercial television stations established their studios at one of the highest points in the metropolitan area, so they could had a direct line of sight to the transmitter sites in the Darling Ranges. With TVW Channel Seven opening on Friday October 16th, 1959 and STW Channel Nine following on Saturday 12 June 1965. It would be another twenty three years before Perth gained its third commercial television station. 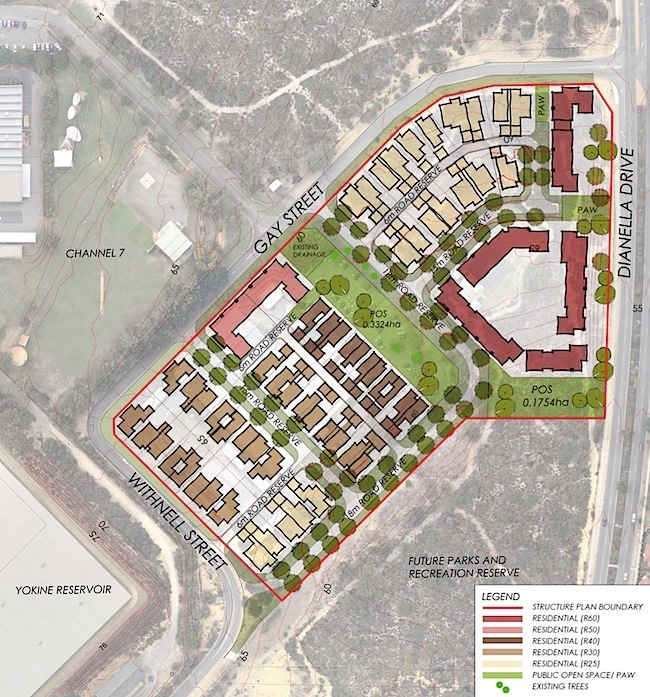 Meanwhile the ABC selected East Perth, owing to the fact that this land was purchased by the Federal Government in 1942, during the Second World War. The ABC thus required a tower to gain a direct line of sight to its transmitter site. ABW Channel Two opened on Saturday 7th May, 1960. 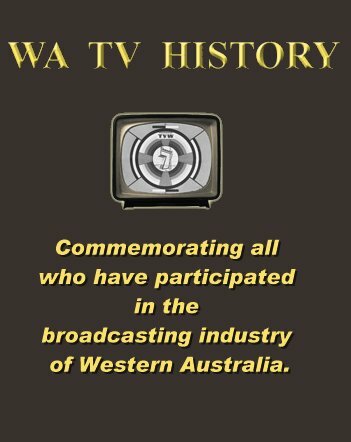 In the early days, TVW Channel 7 and STW Channel 9 were owned by West Australians and presented their daily programs and much local content from their studios on the hill. Seven and Nine started as autonomous companies with a local emphasis. They then employed microwave links to get the programs from the studios to the transmitters, a requirement no longer needed with the introduction of fibre optics and satellite communications. NEW Channel 10 was sold, soon after gaining the licence following a long court battle. TEN in Perth, which opened on Friday May 20, 1988, became the first commercial station to be owned by a national network soon after its inception. Channel Seven was the first television station established in Western Australia, and it was its inaugural general manager (Sir) James Cruthers, who selected Mount Yokine as the studio site, which was deemed to be part of Tuart Hill. The Metropolitan Water Board had already built a reservoir on top of the hill in 1950, with a water tower. Prior to that, Yokine Hill, was used as a survey point. Trig points (also known as a Trigonometric Stations) were valuable to early surveyors, providing reference points for measuring distance and direction, and assisting in the creation of maps. The early White history of the locality dates back to January 1832, when the sale of unoccupied Crown Lands by auction was introduced, with the northern half of the Perth Shire location allocated to T.R.C. Walters on the 10th March 1840. Yokine was part of this allocation, which was originally referred to as Osborne Park, until the hill situated on Williams Road was named by N.S. Bartlett in 1922 as Yokine Hill, where the trig station was sited. 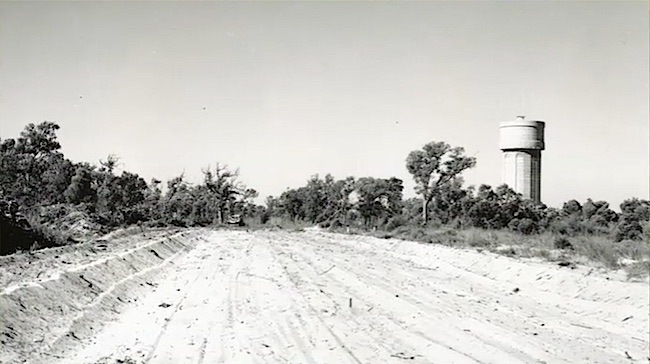 Years later, when the area was still bush and the reservoir had opened, the surrounding land was resumed for the State Housing Commission (Government Gazette, 27 November 1950) which then required WA Newspapers to negotiate with the Labor Government of the day to purchase the 8 hectares (80,000 square metres) on which the studios were built. The television station location is now given as Dianella, though Tuart Hill was referred to as the early address. A name adopted through common usage that was derived from the groves of Tuart trees on the rise above Dog Swamp, adjacent to Wanneroo Road. With the advent of corporate takeovers and centralisation, all television networks now emanate from either Sydney or Melbourne. The local studios are no longer the distribution points for their content, other than the nightly News bulletin and other local productions, which are then routed through the eastern states before broadcast. 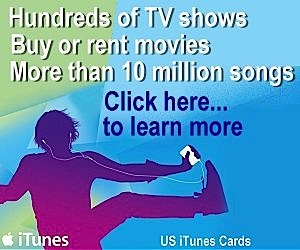 For all programs must now be sent to the east for insertion into the national networks. As such, the studios no longer require direct line-of-sight links to the transmitters, nor do they need to be located on high ground any more. Now after more than 55 years on the Hill, the historic Channel Seven studios will be demolished to make way for housing. The site has been rezoned to residential R30, which was gazetted in July 2012. 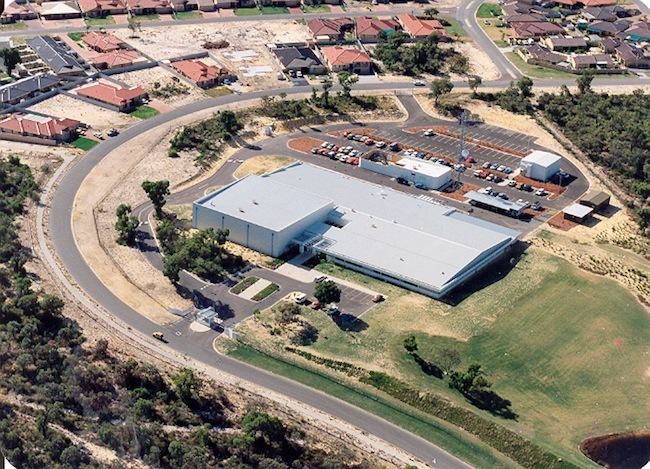 The station is currently in the process of relocating to the Osborne Park premises of the West Australian newspaper, where new studios for Perth’s Seven News and Today Tonight have been constructed with edit suites and the necessary infrastructure. The latest labour saving technology will be used with robotic cameras and a virtual set designed especially for the News. 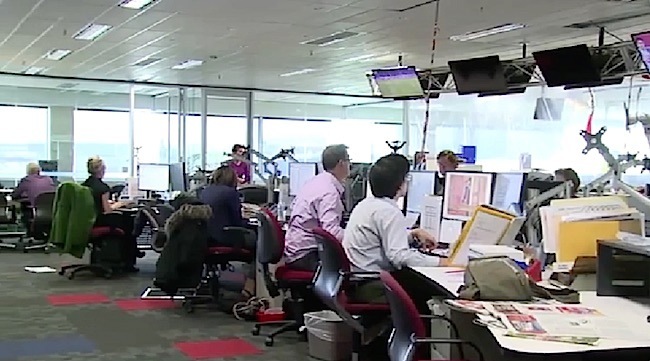 Seven and the West Australian can now take advantages of the synergies obtained by having a combined newsroom. The print, broadcast and online outlets can also cross promote giving them a competitive advantage as well as extra exposure through joint investigations and special reports. This expanded newsroom will feature a 24-person super desk holding senior production and editorial staff from the newspaper, online and television entities, including the respective chiefs of staffs for the paper and TV bulletins. 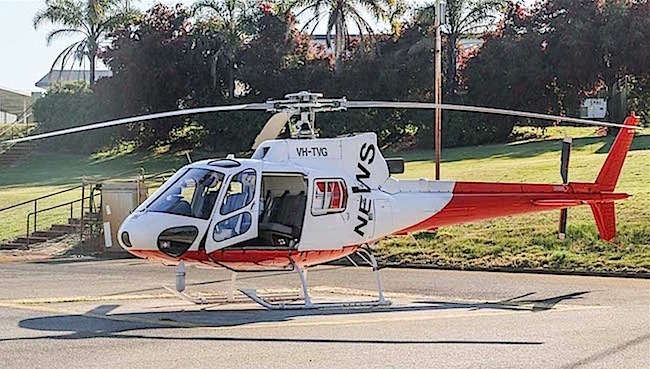 The Seven news helicopter will move permanently from Dianella to Jandakot. 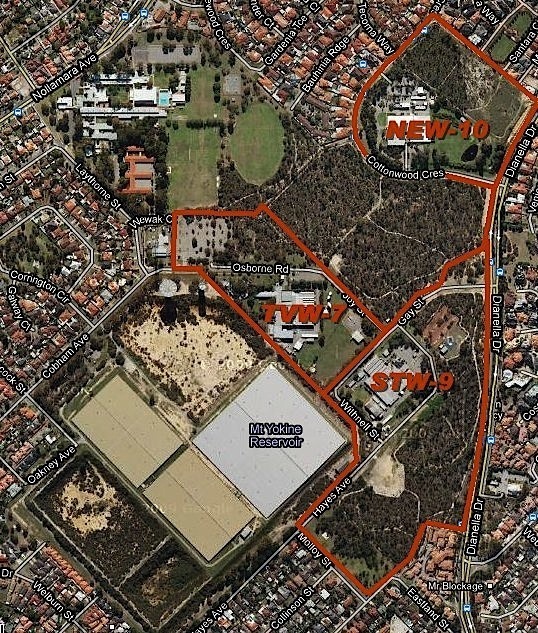 Nine Perth is also expected to look for new premises to relocate in 2016. Meanwhile, Network Ten is reported to have sold their land, but leased it back until late 2016. Now plans are underway to conduct a Seven Reunion-Wake for past and present staff to commemorate the many achievements and good times had at the old studios. This is proposed to take place on Sunday April 19th, 2015, from 2pm through 5pm hosted overlooking Elizabeth Quay at The Perth Convention and Exhibition Centre. It has been a sad week for TVW original and recent Veteran’s that the “Goodbye wake and Reunion” could not have been held ON SITE for the very last time, so all of us could visit The original Studios at Tuart Hill for the last time since we all worked these to establish the WA market leader? A “wrong call” in my and many opinions on this decision from the new management. They totally forget that us “old ones” helped build the station that they now manage but it seems they could not care less? Anyway the TVW 2015 REUNION on Sunday April 26, 2015 at The Moon and Sixpence on Murray will be a great day for us. Well done on this venue, close to the Perth Underground and the “Mates Rates” you have negotiated at The Comfort Inn next door for us to stay over. We particularly like the idea of still being able to share a drink with our Friends after the event in the Bars of The Moon and Sixpence rather than rush home. Having not worked for any media outlet I believe that channel 7 should have opened the studios to the public one last time to say farewell. It’s been there for so many years and been there for the community as well.